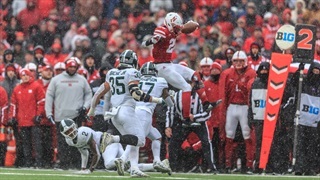 Consistency is the goal for Nebraska's small stable of running backs this spring and it's a goal the Huskers are still striving to reach. 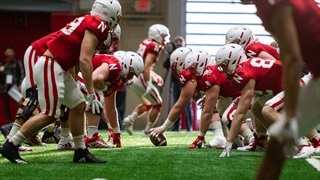 Nebraska opened up practice again Wednesday morning. 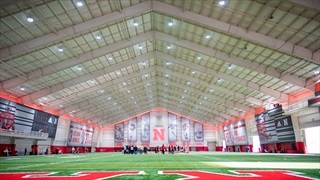 Here's what the Hail Varsity staff saw. 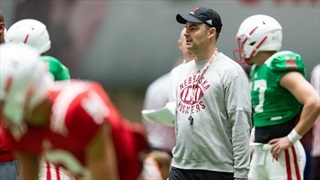 Nebraska football went back to work on Monday and the coaches came away happy with the attention to detail coming off a week-long break. 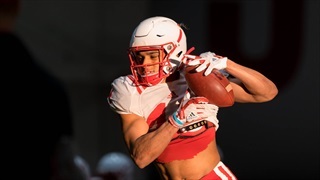 It's Friday, and with a strong showing from several at Nebraska's Pro Day and a promising freshman on the hardwood, this week sticks to the more optimistic side of things. 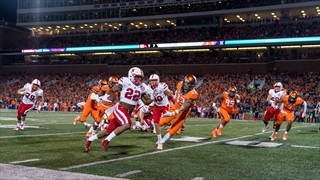 As spring football get rolling for Nebraska, one of the storylines to watch is how the running back position develops and how young players make the most of their opportunity to earn playing time. 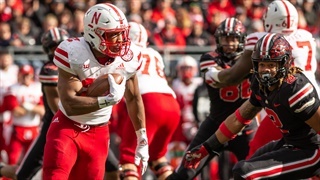 Former Nebraska running back Devine Ozigbo is looking to make his name at the next level after a standout senior season in 2018. It's a loaded podcast this week. 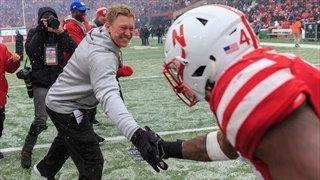 SI's Jeremy Woo joins the pod to talk about his recent trip to see Nebraska play. 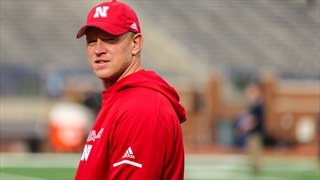 The White and Blue Review's Matt DeMarinis helps Jacob Padilla and I preview Nebraska-Creighton. 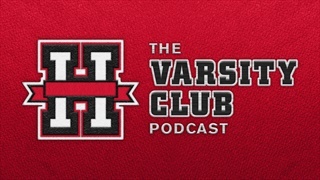 Plus some recruiting talk with Greg Smith. 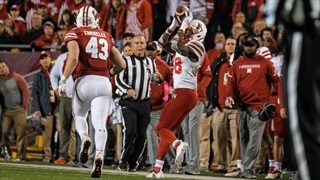 This week we’re going to score Nebraska's positional groups based on strength heading into the 2019 season. Performance in 2018, returning production and incoming talent will all affect this. We continue with the running backs. 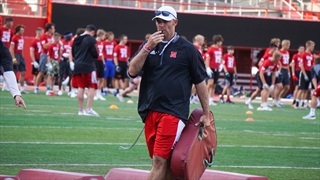 Ryan Held wants to build Nebraska's backfield back up to the standard set by the likes of Roy Helu, Rex Burkhead and Ameer Abdullah, and with the way Devine Ozigbo and Maurice Washington are playing he is well on his way to accomplishing that goal. 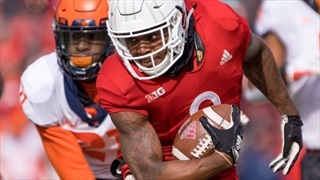 Running backs coach Ryan Held discussed the depth in his room, the potential of true freshman Maurice Washington, pass protection and the challenge Northwestern presents after Wednesday's practice. When it comes to practice, Monday needs to be really good, Tuesday needs to be better, Wednesday needs to be even better and Thursday needs to be great. 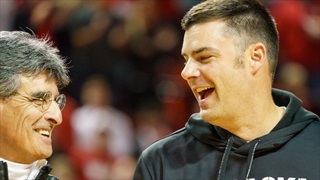 Nebraska got a little closer to it this week. Nebraska is serious about Michigan. 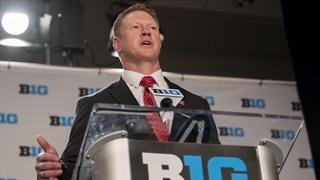 So serious, running backs coach Ryan Held compared this weekend’s game to the movie "Rocky IV". 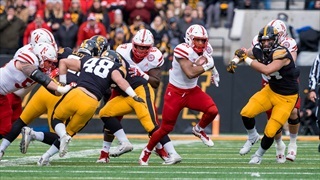 Nebraska returns its leading rusher from 2017, but one wouldn’t know that based on the conversation about the position over the last few months. 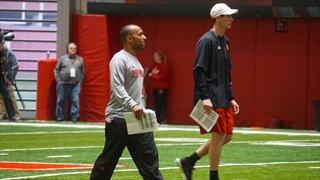 Even so, senior Devine Ozigbo's work ethic seems to have earned him a significant role in the backfield for 2018.